Ninety years after W.E.B. 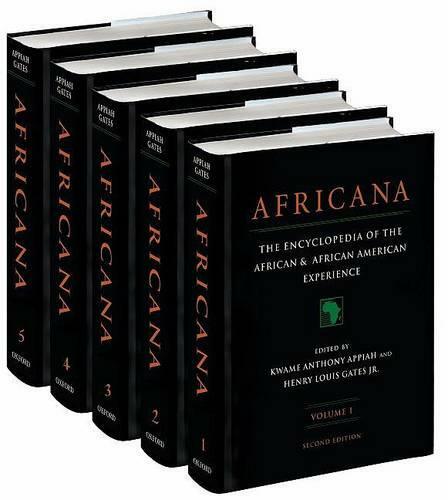 Du Bois first articulated the need for "the equivalent of a black Encyclopedia Britannica," Kwame Anthony Appiah and Henry Louis Gates Jr., realized his vision by publishing Africana: The Encyclopedia of the African and African American Experience in 1999. This new, greatly expanded edition of the original work broadens the foundation provided by Africana. Including more than one million new words, Africana has been completely updated and revised. New entries on African kingdoms have been added, bibliographies now accompany most articles, and the encyclopedia's coverage of the African diaspora in Latin America and the Caribbean has been expanded, transforming the set into the most authoritative research and scholarly reference set on the African experience ever created. More than 4,000 articles cover prominent individuals, events, trends, places, political movements, art forms, business and trade, religion, ethnic groups, organizations and countries on both sides of the Atlantic. African American history and culture in the present-day United States receive a strong emphasis, but African American history and culture throughout the rest of the Americas and their origins in African istelf have an equally strong presence. The articles that make up Africana cover subjects ranging from affirmative action to zydeco and span over four million years from Lucy, our oldest-known human ancestor, to Sean "P. Diddy" Combs. With entries ranging from the African ethnic groups to members of the Congressional Black Caucus, Africana, Second Edition, conveys the history and scope of cultural expression of people of African descent with unprecedented depth.